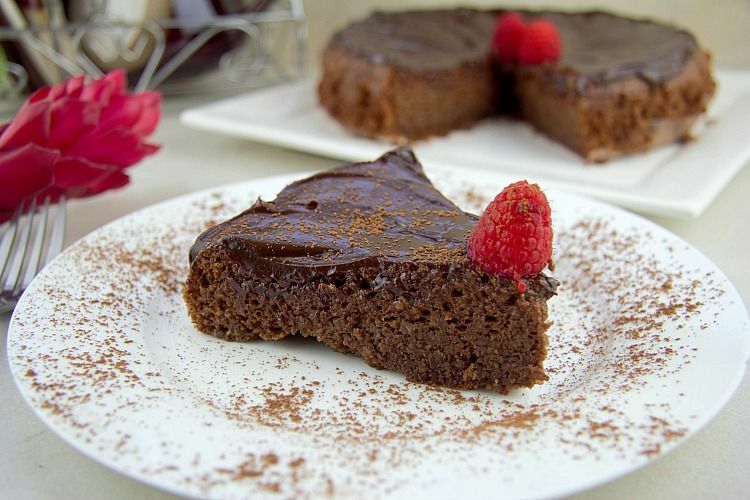 This chocolate hazelnut torte is a rich, tasty dessert that is a slice of chocolate heaven, but still light in texture. 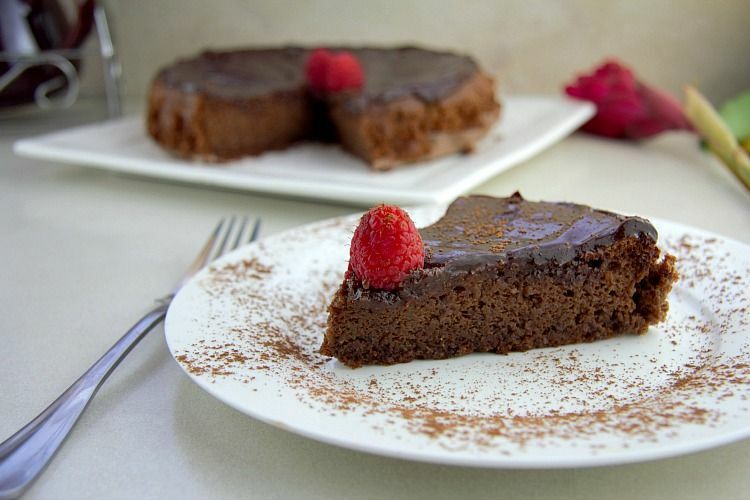 A delicious flour-less chocolate cake that is also low carb and sugar free. 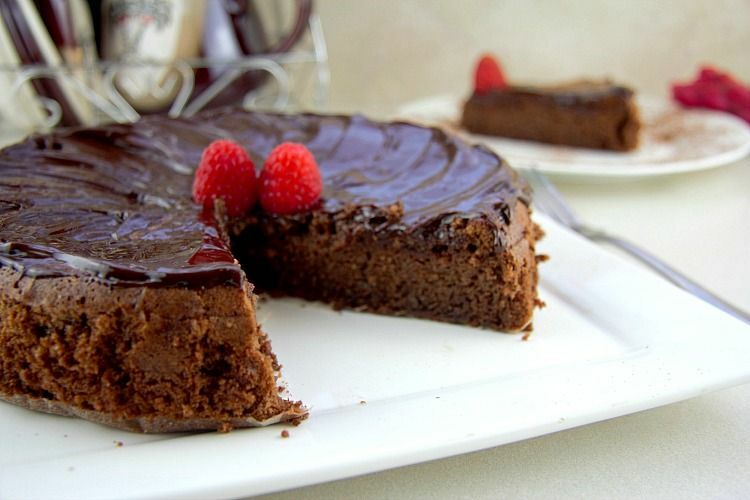 This chocolate hazelnut torte manages to be all things in one slice. A strong chocolate taste that combines so well with the hazelnut flavour. It’s rich and fudge-like but at the same time it is light and fluffy. You will go into for another slice! 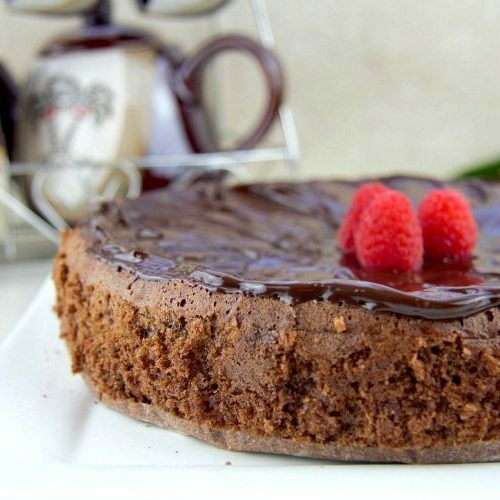 A torte is a cake with a sponge of ground nuts, so it could also be referred to as a flourless cake. 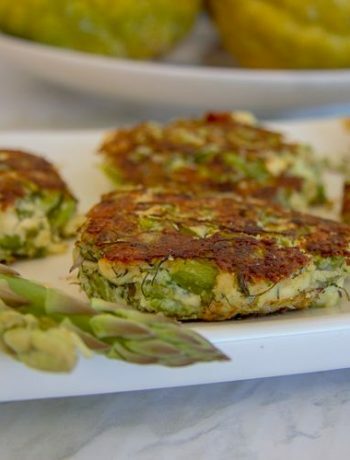 It has a rich yet light texture that is helped with the whisking of the egg whites. Like a lot of nuts, hazelnuts may be high in calories, but they are packed full of nutrients, antioxidant compounds and healthy fats. The level of healthy fats can help with inflammation and improve blood sugar levels. 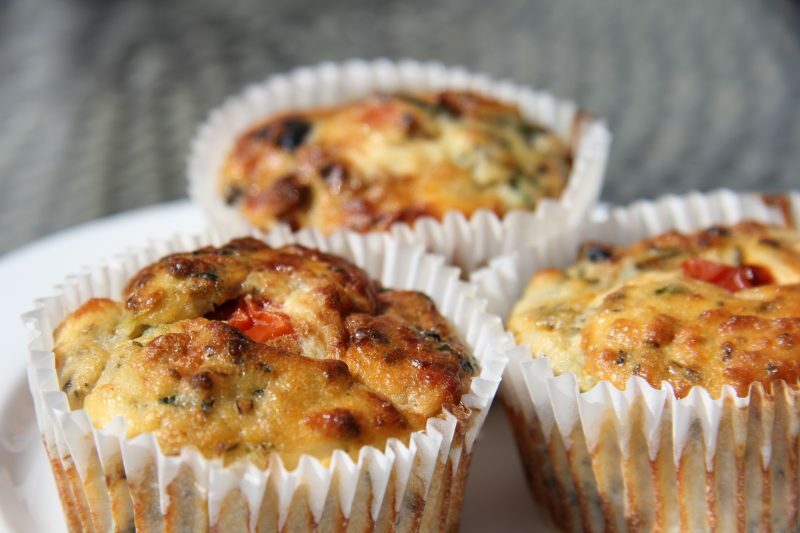 Even better is that they are low in carbs making them a great source of low carb and grain free baking. 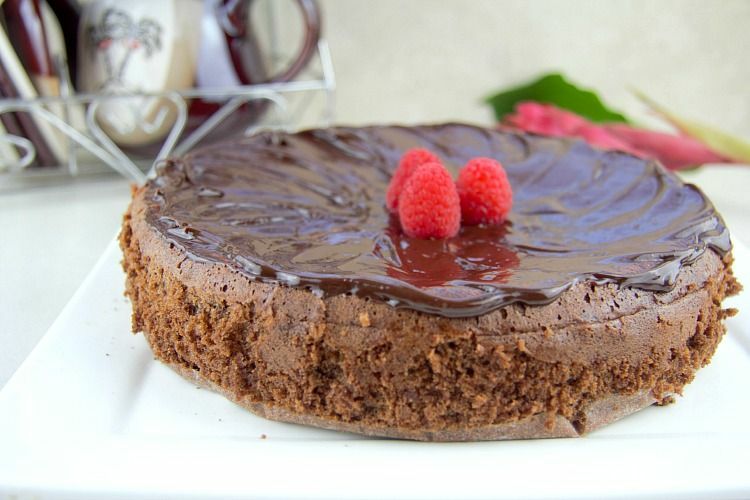 I used ground hazelnuts or hazelnut flour to make this chocolate hazelnut torte. If you are lucky enough to have a source of hazelnuts (and I am very jealous if you do), you can simply roast the hazelnuts in the oven for about 12 minutes. Then remove the skins, cool and grind them into a powder. Voila! You have hazelnut flour. For those of us on a little island, we must purchase hazelnut flour via Amazon and sob quietly at the shipping duties and taxes that cost more than the flour itself. I just adore hazelnut flour so it’s worth it. Apparently, you CAN put a price on happiness. The Chief Taster gave the chocolate hazelnut torte rave reviews and was amazed at the light texture of the torte with the rich flavour. He went into for another piece and enjoyed a slice for breakfast the next day. It’s on the list of “please bake again”. I beg you to try a slice whilst it is still warm. You will be purring like a happy kitten. I served mine with a chocolate ganache on top. This is simply cream heated up with semi sweet chocolate chips added, mixed and cooled. Then slather over the top of this chocolate hazelnut torte. It gives the top a nice glaze. 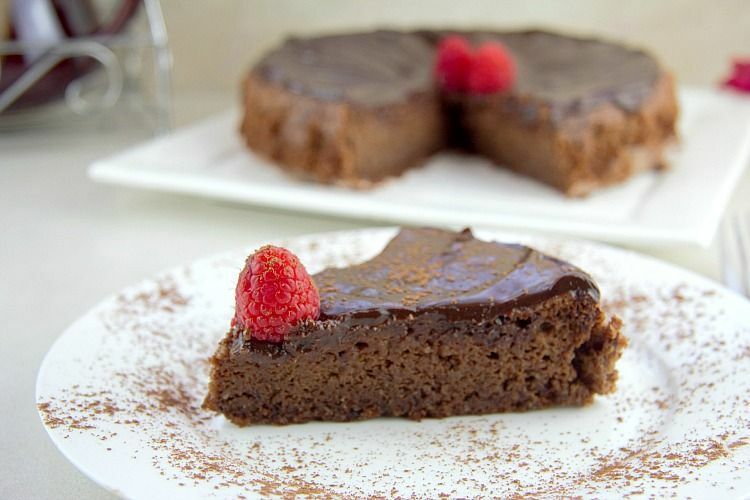 This chocolate hazelnut torte is a rich, tasty dessert that is a slice of chocolate heaven, but still light in texture. Grease and line an 8 inch spring form cake pan with parchment paper. Melt the butter and chocolate together in a bowl over simmering water (Bain Marie). Or you could zap it in the microwave. In a bowl, whisk the egg yolks together with 2 tablespoons of the erythritol and the vanilla. Add the chocolate mixture, then add the hazelnut flour, salt and 1/4 cup of the erythritol. Stir well. In another bowl, whisk the egg whites to soft peaks with an electric whisk. Add the remaining erythritol and whisk until you have stiff peaks. Add 1/4 of the egg white mixture to the chocolate mixture and stir slowly. Fold the remaining egg whites into the mixture. Pour into the cake tin and bake for 35 to 40 minutes. Do you have a favorite brand of dark chocolate to recommend for this? I like Lindt but Lily’s do a good chocolate too. 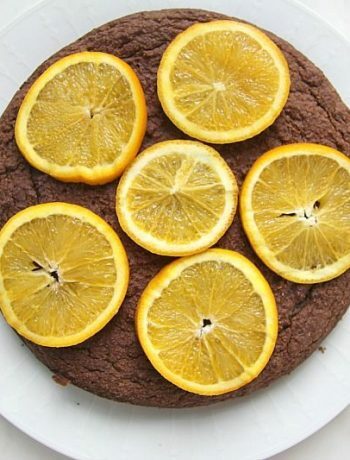 Glad you like the recipes and happy baking! This sounds so good! I have hazelnut flour on order now. Do you know how much 1 cup of hazelnuts come out to when ground? I really want to try this! I’m not sure as yet to try grinding my own. Hi Lindsay. Hope you enjoy it. Thanks for popping by! Shucks Katy! Hope you enjoy it! Mm looks soo good and moist!